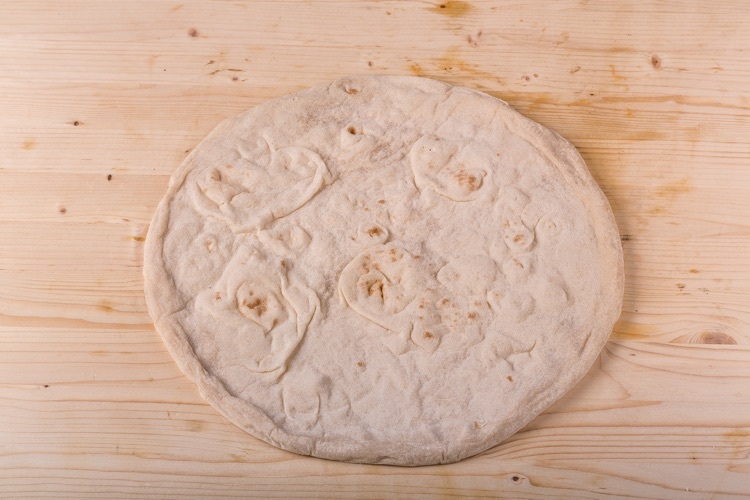 kneaded by hand, left to rise for 24 hours with 100% natural yeast. The extended, 24-hour proofing time with sourdough starter gives the cooked pizza a well-defined crust and makes it light and crunchy. For those who want a thin pizza with a well-defined crust. 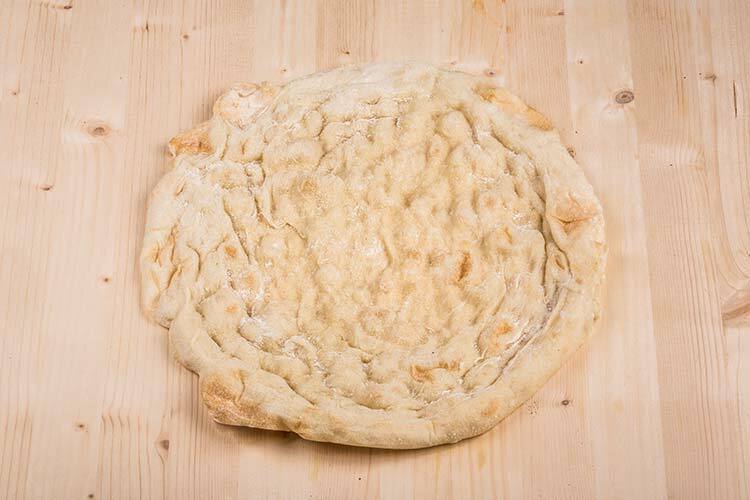 Natural proofing and a mix of types of flour combine to make the pizza fragrant on the outside and soft on the inside. Crunchy on the outside and soft on the inside. 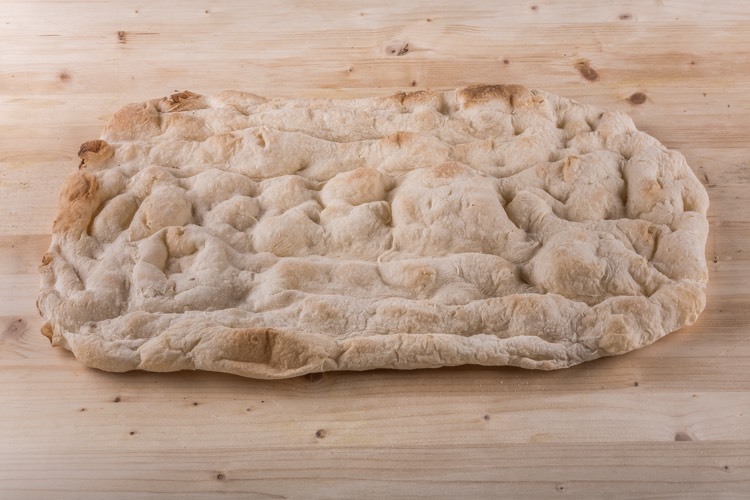 High level of hydration of the dough that gives unrivaled lightness and exceptional crispiness. 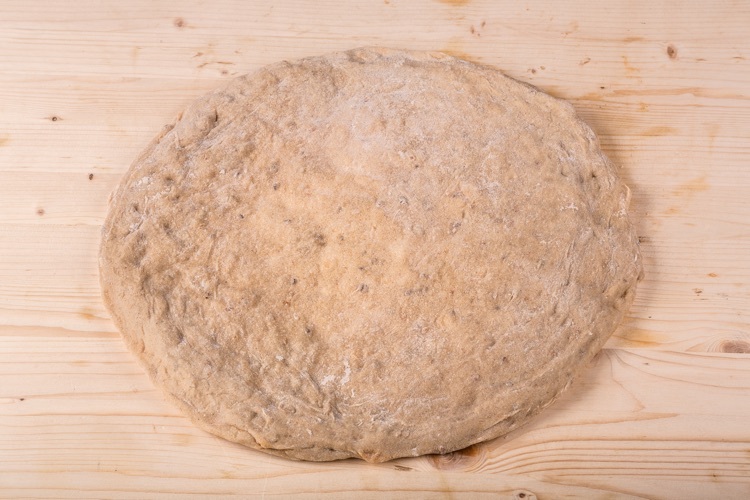 The “ancient grains” pizza base is characterised by the presence of type-1 flour and ancient types of non-GMO flour, including the re-ground “Senatore Cappelli” durum wheat. The painstaking selection of high-quality Italian grains, alongside the entirely manual production process that uses a secret method like no other, together give rise to a crispy yet fluffy pizza that is without doubt the lightest of its type. What is a pizza base? 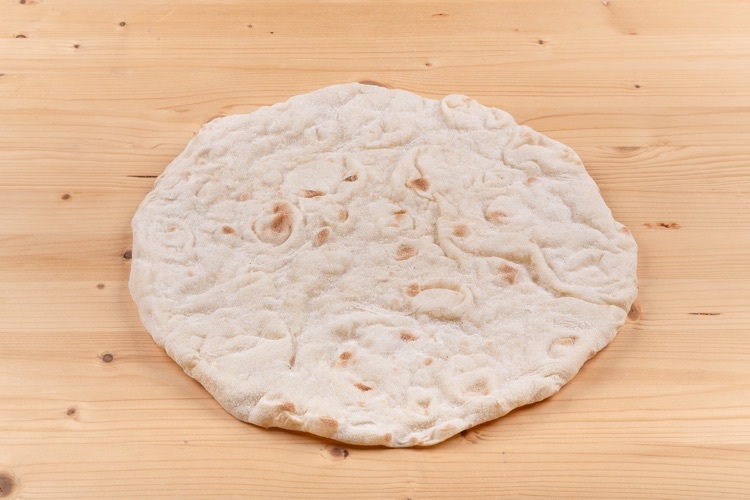 A pizza base is a dough ball that has already been kneaded and comes as a white “disc” ready for you to add your toppings. 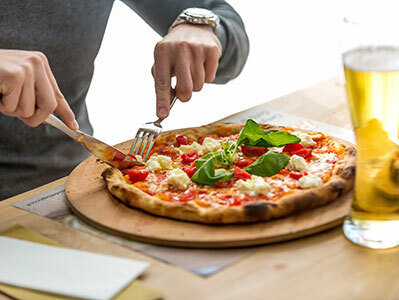 With our bases, all the hard work of the pizza chef has already been done, so all you have to do is add your chosen toppings and cook the pizza in a normal refractory oven. 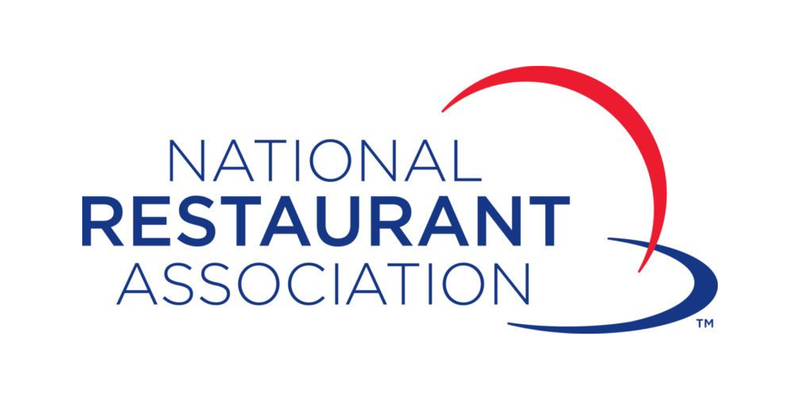 It is the easiest, most cost-effective way to offer pizza on your menu without having to rely on a pizza chef and having to face the resultant increased running costs. (discover all of the advantages). 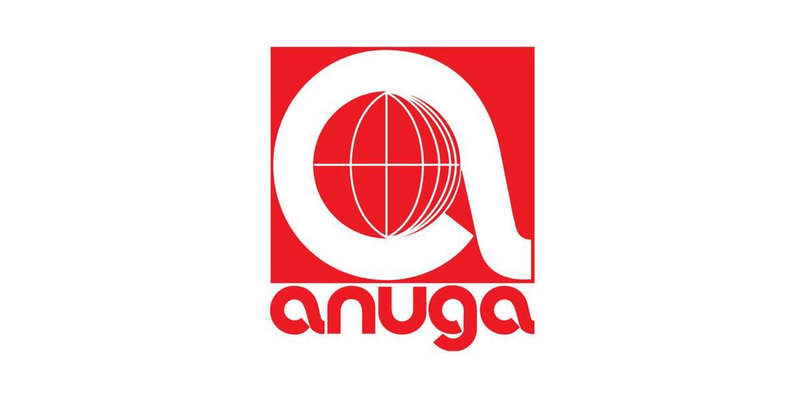 All of our products are made in Italy by the leading Italian artisanal producers; our products are available both fresh (packaged in a protective atmosphere for storage at 0°C / +4°C) and frozen (for storage at -18°C). A refractory oven. 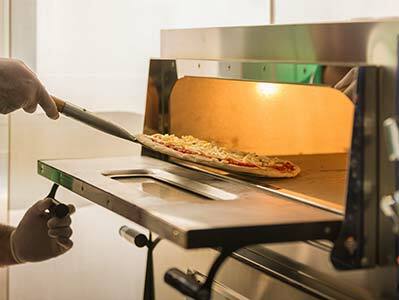 There are numerous solutions on the market for installing ovens of various sizes to meet your needs – with our pizza bases, you can achieve the same quality you would expect from a wood-fired oven, without having to deal with the large footprint of that type of oven or having to apply for specific licences. 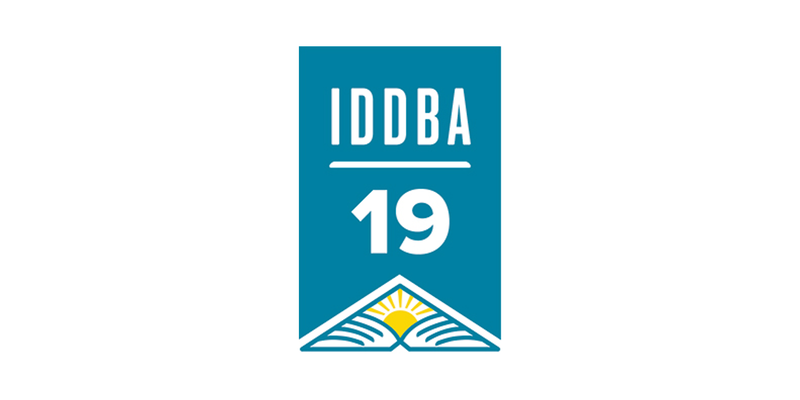 (click here for more infos). Are yours “artisanal” pizza bases? Yes, of course! Our products could not be more different from the industrially manufactured products on the market. 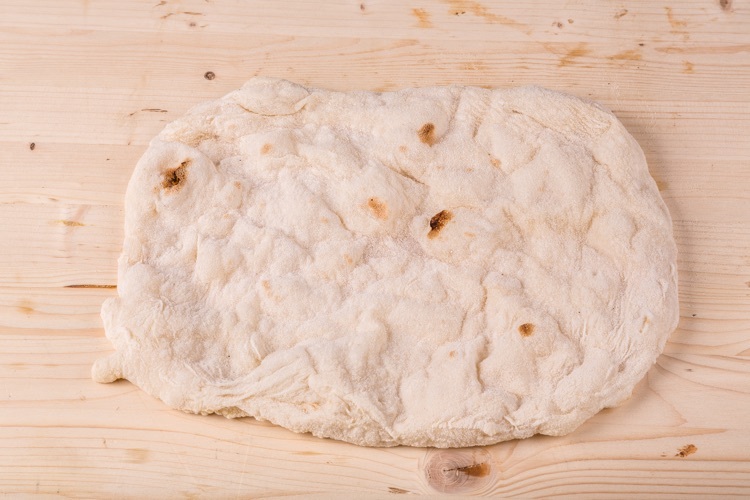 Our dough undergoes 48-72 hours of proofing before being kneaded entirely by hand! Watch the video to learn more. 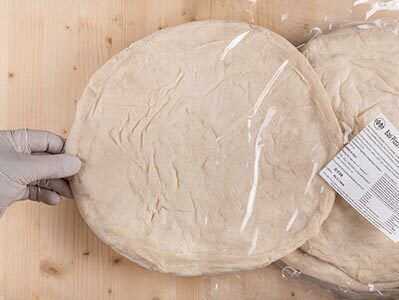 Our pizza bases come fresh (packaged in a protective atmosphere that allows them to be stored in Fridge for 30/45 days at + 4°C / +39.2°F), but on request all the pizza bases are available in frozen version (to be at -18°C / -0.4°F with a shelf life of 12/18 months). Do the pizza bases already have a topping? No. 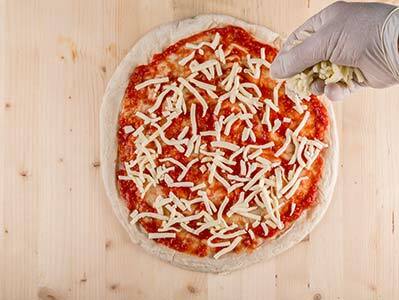 The pizza base comes as a white disc ready for you to add your topping of choice. Watch the video to learn more. Do the bases have to undergo proofing? No. They are ready to use. You just have to add your topping and cook the pizza. Watch the video to learn more.